Explore a slice of Spanish history without leaving the US—St. ­Augustine, Florida. The oldest continuously inhabited European settlement in the continental US isn’t Jamestown, Virginia, or Plymouth, Massachusetts—it’s St. Augustine, a coastal city 105 miles northeast of Orlando that was settled by the Spanish in 1565. While much of Florida’s coast is overrun by cookie-cutter motels and strip malls these days, St. Augustine’s historic district still has a distinctly Old World Spanish charm, with many buildings dating back to the 16th through 19th centuries. 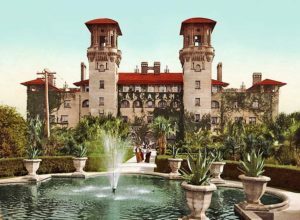 The Castillo de San Marcos is the only 17th-century fort still standing in the US, for example…and the romantic Casa Monica Hotel is completely unlike any other hotel in Florida—it’s a 19th-­century Moorish Revival–style castle. Take a cruise the old-fashioned way—The Maine Windjammers, Rockland and Camden, Maine. A cruise on a historic 19th- or early 20th-century sailing ship is a wonderful way to see the craggy coast and islands of Maine. These three-to-six-day cruises typically include stops in fishing towns that are anything but touristy…and in quiet coves for lobster bakes. They are trips that transport passengers not just down the coast but also back in time to when ships were made of wood and propelled by wind. These ships are not luxurious by modern cruising standards. Their cabins tend to be small and simple, and bathrooms often are shared. But the lack of luxury is easily made up for by the memorable and unusual experience. Details about specific ships’ accommodations, amenities, rates and schedules are available online. Find links through the website of the Maine Windjammer Association (SailMaineCoast.com). Prices for three-night cruises start at $610 per person, all inclusive. Ships operate late May through mid-October. 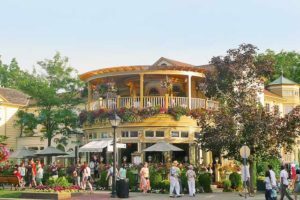 Visit one of the prettiest little towns almost in America—Niagara-on-the-Lake, Ontario. Niagara Falls is among the best-known tourist destinations in the US, but few visitors seek out this little waterfront town just to the north, across the Canadian border. They’re missing out on one of the most picturesque communities in North America…and on an opportunity to take advantage of a favorable exchange rate in a location just 10 miles from a US border crossing—one US dollar recently was worth $1.31 Canadian. Explore a world where canoes outnumber cars—Boundary Waters Canoe Area, Ely, Minnesota. This wilderness preserve located along the northern border of Minnesota is the largest in the US east of the Rockies, with more than one million protected acres. Together with the even larger Quetico Provincial Park just across the border in Canada, there are more than 1,000 lakes scattered across this vast pine forest. There are few cars and motorboats allowed, creating a world that feels untouched by time. Most visitors bring or rent canoes—there are more than 1,200 miles of canoe routes—and then paddle and portage (carry the canoe short distances overland) for days or weeks, camping onshore and dining on the fish they catch. A permit system ensures that the woods are never very crowded. Ely is 100 miles northwest of ­Duluth. 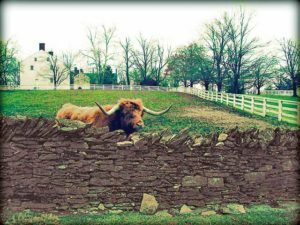 Overnight visitors must pay a “user fee” of $16 per person per trip ($8 for those under 18 and people who have an “Interagency Senior Pass” or “Interagency Access Pass”). For more information about permits, visit the US Forest Services’ website (FS.Fed.us, select “Destinations” from the “Visit Us” pull-down menu, enter “Minnesota,” then select the “Boundary Waters Canoe Area Wilderness”). If you wish to hire a guide or rent canoes and equipment, contact Williams & Hall Outfitters (WilliamsAndHall.com). If you’re looking for a good hotel nearby, the log cabins of the Burntside Lodge are an excellent choice (from $171 off-season, from $219 peak summer ­season, Burntside.com). Go wine tasting without being overrun by tourists—Walla Walla Wine Region, Washington. More than 100 wineries have sprung up in and around Walla Walla, a small city in southeastern Washington State approximately 150 miles south of Spokane by car. There are wineries in almost every state these days, but the Walla Walla region vineyards produce highly regarded wines. Walla Walla’s wineries and inns are much less overrun with tourists and are more affordable than California wine regions such as Napa and Sonoma, making this an excellent place for a relaxing, enjoyable wine-tasting trip. Patricia ­Schultz, a New York City–based travel journalist. She is author of The New York Times number-one best seller 1,000 Places to See Before You Die as well as the recently updated 1,000 Places to See in the United States & Canada Before You Die.